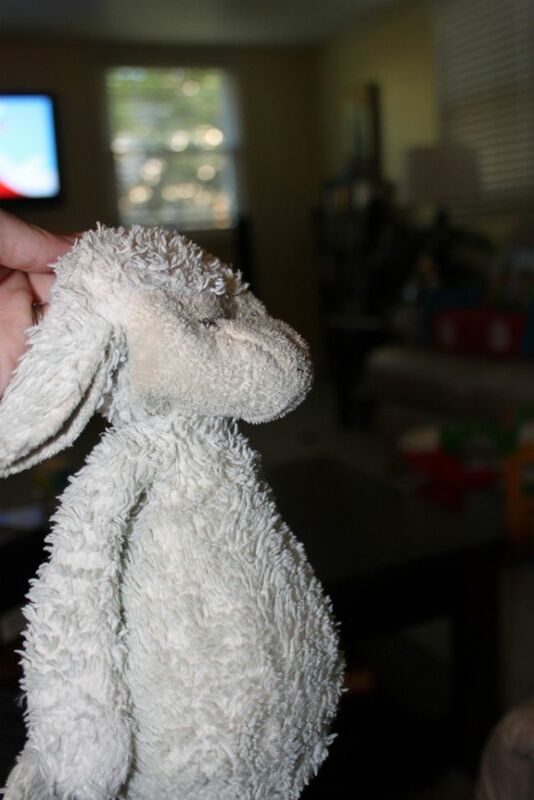 Some of you may remember my son's best friend Lamby from a previous post. 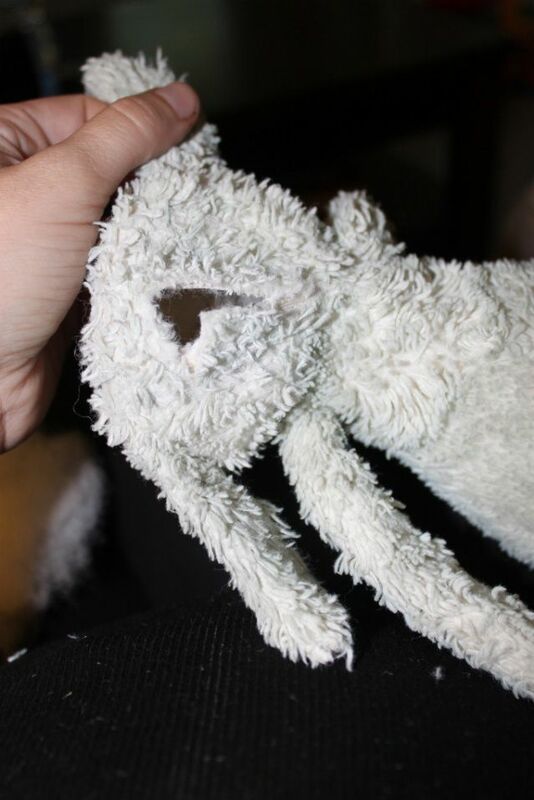 Since the theme of our house this week is surgery, I decided it was time for lamby to have some work done. In the past few months my son has been through a lot....which means his best friend is also going through a lot. When we ditched the passy he began to chew on the eyes. As you can see we cut those out a few months back and now he has black stitches where eyes once were. After the eyes went, he started chewing his face. Yes, the poor lamb gets his face chewed DAILY! As you can imagine, this begins to smell after a while. 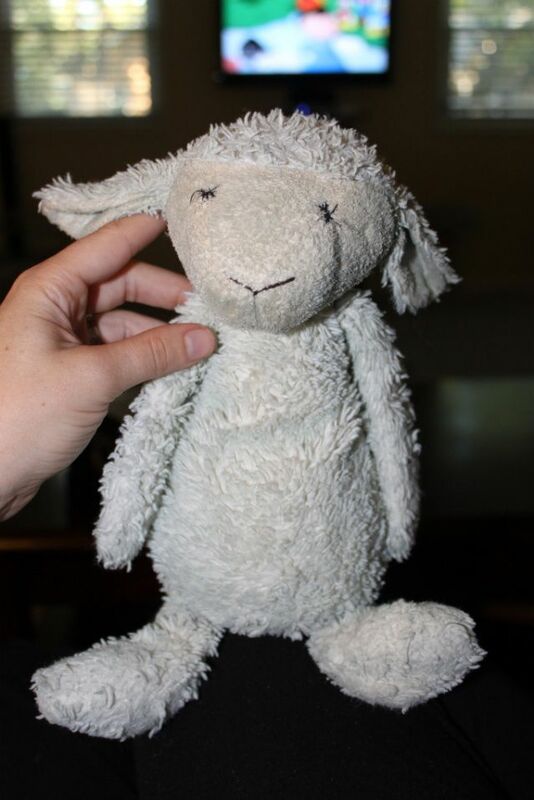 Lamby gets washed every week and bleached every two weeks. You would think this would help. And it does for a day of two, but then the smell comes back. My solution? Let's cut his head open! 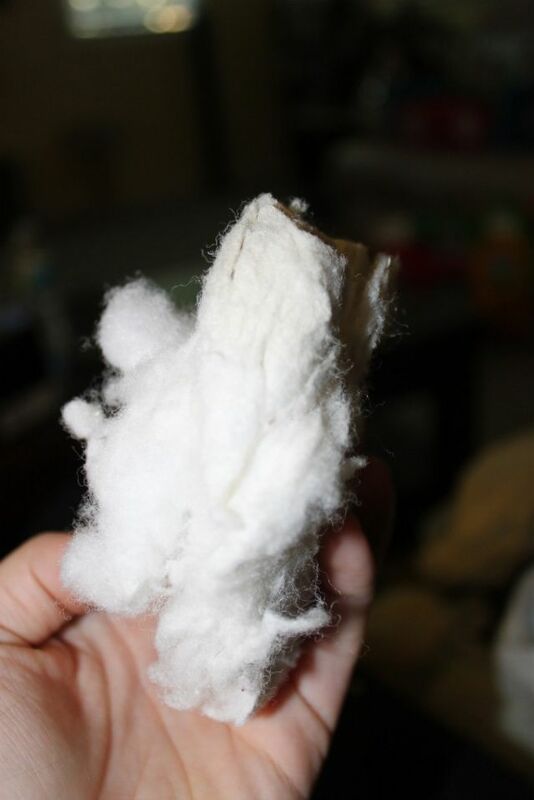 Here's what Lamby looked like with the old clumpy stuffing inside. I made a "L" shaped cut in the back of the head and pulled out all of the nasty old stuffing. I found this great stuffing at Micheal's. 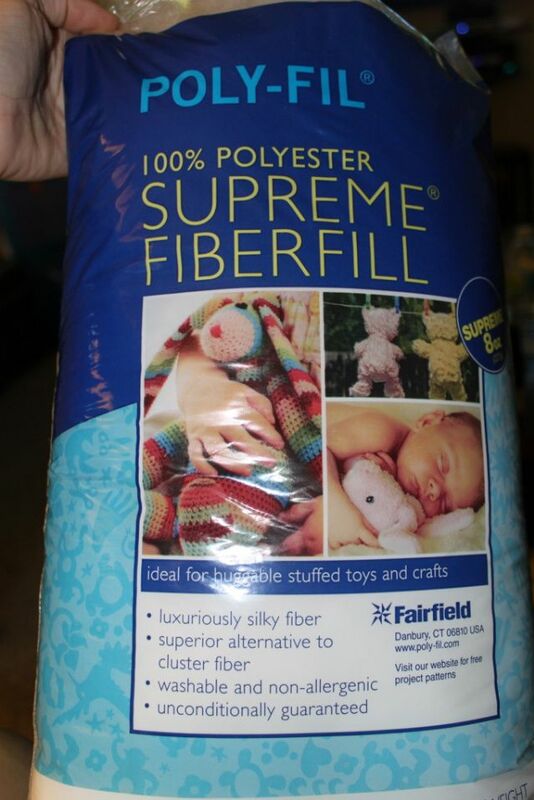 It is way softer then the original stuffing and best yet, it's not clumpy! and TA DA! The new and improved Lamby!! I don't for a second think I am handy with a needle. When it comes to home improvement projects I'll sooner higher someone then do it myself. When it comes to my babies, I will do whatever is needed. If their best friend needs a surgery, I'm there with my mini sewing kit (I think designed for button repair) and a smile. I hope this helps us get a few more years out of our little friend! 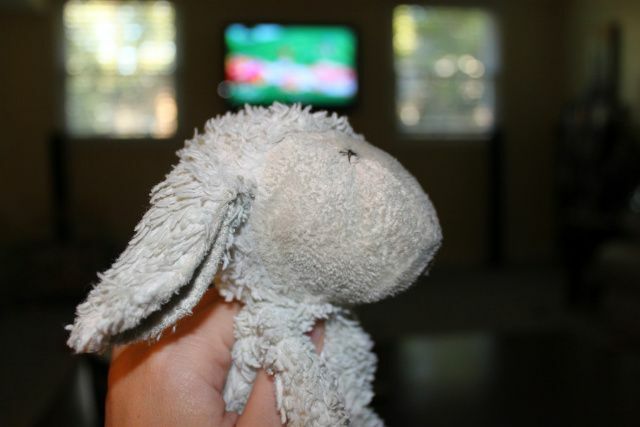 i still have my "lamby" and im 26! its been through the works but im happy to still have it! Lamby looks great! Amazing job! Ryder is the luckiest little boy to have parents like you & the hubs! Stacy, I can't believe how many people tell me they have theirs too! I had a binky and at 3 my mom cut it and said I was a big girl now and was done with it. The crazy part is I didn't even cry. Just said "K mom!" and that was it!!!! I kinda wish I had a doll or blanket or something of min still today!! He looks brand new! Oh... and I bought that vintage fully intending on NOT wearing it as a costume! I love it!